Mark it on your calendars: September 3rd, 2012. That’s when Tritonal’s ‘Piercing The Quiet: Remixed’ album will finally see the light of day, a date ‘Tritonians’ around the globe have eagerly been awaiting since ‘Piercing The Quiet’ was released in May 2011 and the remixes startedcreeping into the duo’s sets. A double-disc delight packed with 14 remixes by some of the biggest names in trance and progressive and 10 club mixes by Tritonal themselves, ‘Piercing The Quiet: Remixed’ is sure to give fans of the beloved originals an album to take away the pain of summer coming to an end. ‘It was important to us these remixes stayed true to the originals and so we worked with some of our favorite producers who brought their amazing and fresh ideas to the table,’ says Tritonal. Those producers trusted with remix duties include Stoneface & Terminal on fan-favorite ‘Still With Me’, Super8 & Tab, who reworked ‘Piercing Quiet’ into a festival anthem, trance purist Daniel Kandi on ‘Broken Down’ and up-and-comer Estiva on ‘Ziziki’. The Rafael Frost Remix of ‘Something New’ featuring Jenry R. will be the first single off the album, with a release date of August 6. Additionally, Beat Service, Craig Connelly, Seven Lions, The Madison, Ost & Meyer, Maor Levi, Juventa, and Dan Stone all brought their signature sounds to a powerhouse-filled tracklist that will be made public in the upcoming weeks. Since forming in 2008, Chad Cisneros and Dave Reed have taken Tritonal from the unknown, playing in small clubs in their hometown of Austin, Texas, to touring in every corner of the globe, releasing over 100 original tracks and remixes and whipping a fan base of dedicated, self-titled ‘Tritonians’ into a frenzy. 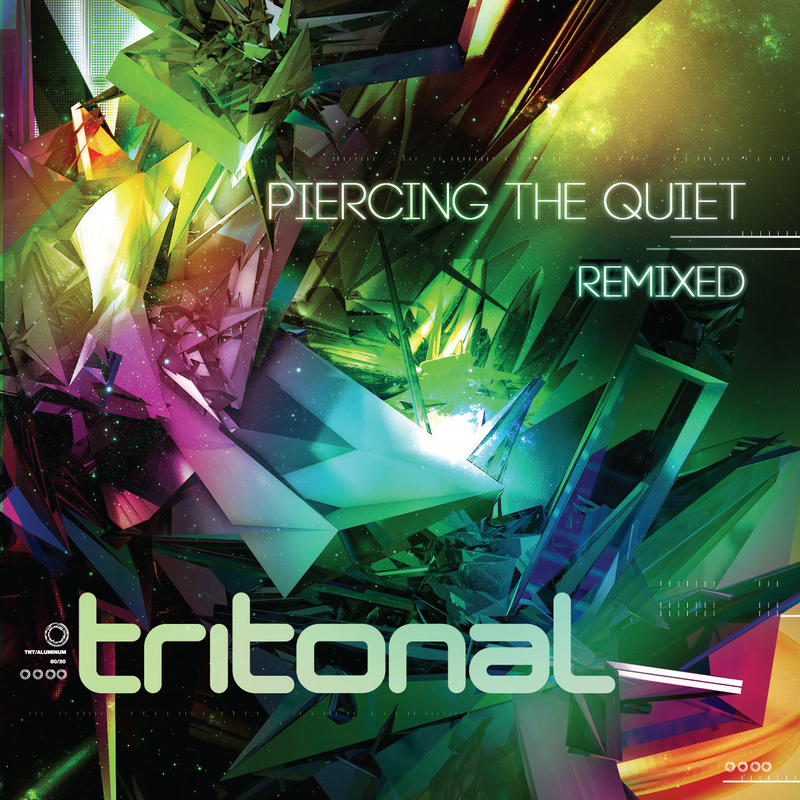 ‘Piercing The Quiet,’ Tritonal’s debut artist album, produced eight top 20 Beatport singles, including five that held the #1 position on the trance chart for more than two weeks. In a saturated music scene, Tritonal’s vivacious stage presence stood out from the dozens of other acts at festivals like Electric Daisy Carnival, Escape From Wonderland, Ultra Music Festival, A State of Trance 550, and Creamfields Australia. They also managed to find time torelease nine new tracks through their record label, Air Up There Recordings(not including 15 ‘Piercing The Quiet’ Extended Mixes, which were released in April 2012), sell out clubs across North America, and continue their weekly Air Up There radio show, which is now syndicated throughout five continents. ‘Piercing The Quiet: Remixed’ will be released on Enhanced Music on September 3, 2012 and can be purchased as a 2-disc CD or as a download on iTunes, Beatport, and other online music portals. Pre-order special limited edition signed albums now from http://www.enhancedmusic.com (iTunes pre-order available soon).